PASADENA, Calif. -- NASA's Mars Reconnaissance Orbiter data have given scientists the clearest evidence yet of carbon-dioxide snowfalls on Mars. This reveals the only known example of carbon-dioxide snow falling anywhere in our solar system. Frozen carbon dioxide, better known as "dry ice," requires temperatures of about minus 193 degrees Fahrenheit (minus 125 Celsius), which is much colder than needed for freezing water. Carbon-dioxide snow reminds scientists that although some parts of Mars may look quite Earth-like, the Red Planet is very different. The report is being published in the Journal of Geophysical Research. "These are the first definitive detections of carbon-dioxide snow clouds," said the report's lead author, Paul Hayne of NASA's Jet Propulsion Laboratory in Pasadena, Calif. "We firmly establish the clouds are composed of carbon dioxide -- flakes of Martian air -- and they are thick enough to result in snowfall accumulation at the surface." The snowfalls occurred from clouds around the Red Planet's south pole in winter. The presence of carbon-dioxide ice in Mars' seasonal and residual southern polar caps has been known for decades. 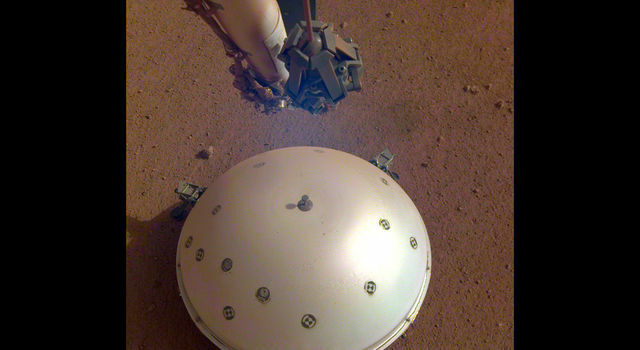 Also, NASA's Phoenix Lander mission in 2008 observed falling water-ice snow on northern Mars. Hayne and six co-authors analyzed data gained by looking at clouds straight overhead and sideways with the Mars Climate Sounder, one of six instruments on the Mars Reconnaissance Orbiter. 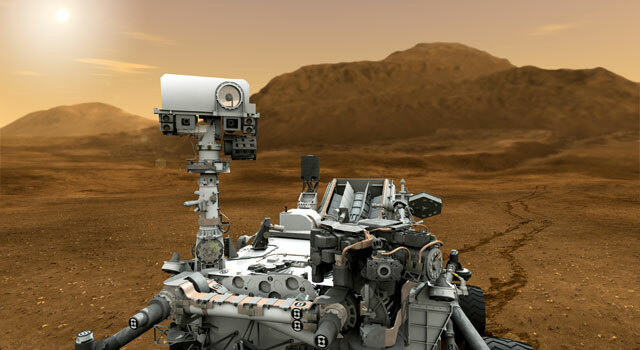 This instrument records brightness in nine wavebands of visible and infrared light as a way to examine particles and gases in the Martian atmosphere. The analysis was conducted while Hayne was a post-doctoral fellow at the California Institute of Technology in Pasadena. The data provide information about temperatures, particle sizes and their concentrations. The new analysis is based on data from observations in the south polar region during southern Mars winter in 2006-2007, identifying a tall carbon-dioxide cloud about 300 miles (500 kilometers) in diameter persisting over the pole and smaller, shorter-lived, lower-altitude carbon dioxide ice clouds at latitudes from 70 to 80 degrees south. 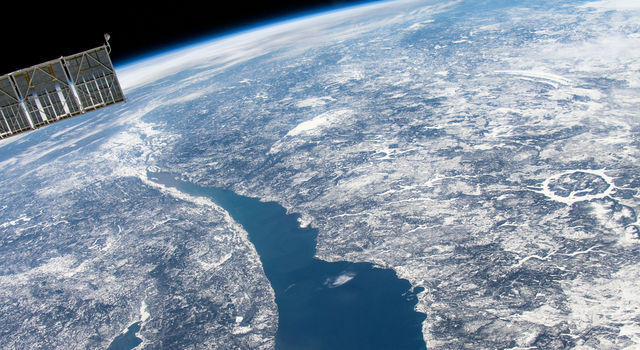 "One line of evidence for snow is that the carbon-dioxide ice particles in the clouds are large enough to fall to the ground during the lifespan of the clouds," co-author David Kass of JPL said. "Another comes from observations when the instrument is pointed toward the horizon, instead of down at the surface. The infrared spectra signature of the clouds viewed from this angle is clearly carbon-dioxide ice particles and they extend to the surface. By observing this way, the Mars Climate Sounder is able to distinguish the particles in the atmosphere from the dry ice on the surface." Mars' south polar residual ice cap is the only place on the Red Planet where frozen carbon dioxide persists on the surface year-round. 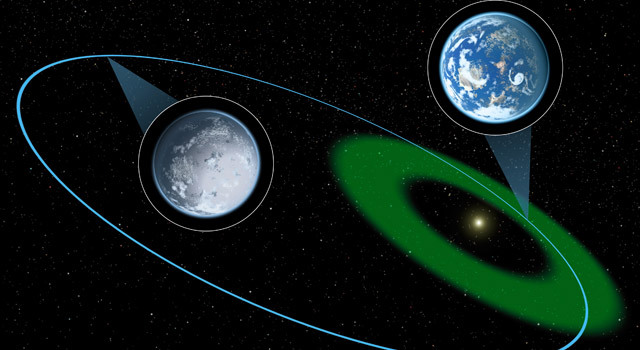 Just how the carbon dioxide from Mars' atmosphere gets deposited has been in question. It is unclear whether it occurs as snow or by freezing out at ground level as frost. These results show snowfall is especially vigorous on top of the residual cap. "The finding of snowfall could mean that the type of deposition -- snow or frost -- is somehow linked to the year-to-year preservation of the residual cap," Hayne said. 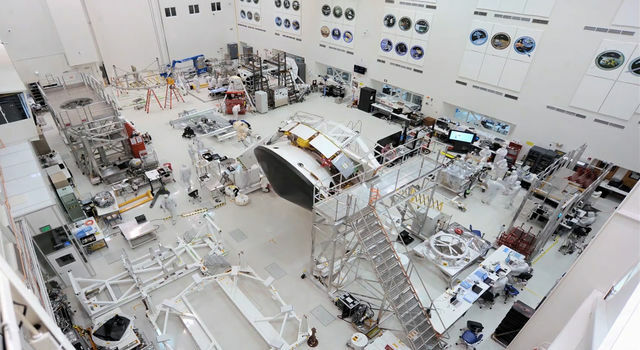 JPL, a division of the California Institute of Technology in Pasadena, provided the Mars Climate Sounder instrument and manages the Mars Reconnaissance Orbiter Project for NASA's Science Mission Directorate in Washington. For more information about the Mars Reconnaissance Orbiter, visit: http://www.nasa.gov/mro and http://mars.jpl.nasa.gov/mro . Next week, NASA will participate in a "tabletop exercise" that will play out a realistic - but fictional - scenario of an asteroid on an impact trajectory with Earth.